Quite some time ago my mother-in-law gave me her great big Singer Sewing Book. It is a wonderful reference guide and has been helpful as I am re-learning how to sew. Last week I was reading through the Singer book (who says you can't just read a reference book for fun?) and loved some of the illustrations in the children's section. 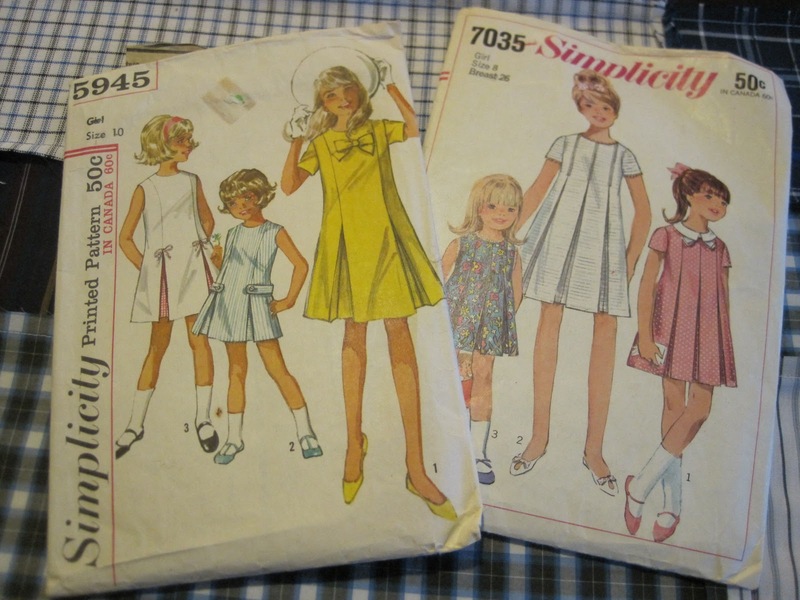 I just had to find patterns for them, but being an older book I knew I had to go "vintage". I have sold many things on Etsy now, but this was my first purchase (thanks for the birthday money Grandma!). 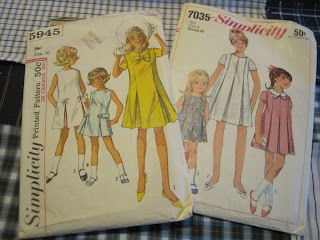 I adore these patterns and can't wait to pair them with the vintage fabric I picked up last Summer. Stay tuned.